P erforming in over 20 cities including Toronto, “The Rhapsody Tour” will debut a brand new larger-than-life production. 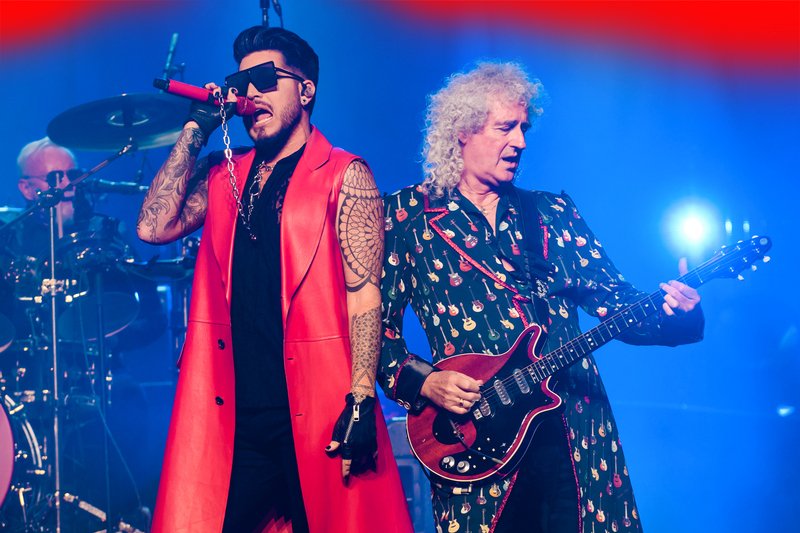 With the soaring success of the recent biopic, Bohemian Rhapsody, the original band members of Queen including guitarist, Brian May and drummer, Roger Taylor are joining together along with singer Adam Lambert to tour North America. Set to run from mid-July through late August 2019, fans are promised an all new concert experience. Following the announcement of the tour, Roger Taylor said, “We are ready for America and raring to get back in the saddle,” while Brain May explained that they are going to be more ambitious than ever with these new shows. Queen and Adam Lambert originally performed together during the 2009 American Idol finale, with an incredible performance that reinvigorated the band and amazed fans all around the world. Following that show, they continued to perform in front of numerous crowds all over the world in various festivals and tours. Topping the cinema box office in more than 35 countries, Bohemian Rhapsody reminds fans why they fell in love with Queen’s music in the first place. The release of this film has also boosted the band’s music steam count, with the most popular song being Bohemian Rhapsody. Queen and Adam Lambert are set to rock Scotiabank arena on July 28, 2019.